St George Illawarra Dragons winger Jason Nightingale is poised to make his return against the Gold Coast Titans at Cbus Stadium, Robina on Sunday. The New Zealand international has been sidelined in recent weeks with a minor ankle injury but has been named in a travelling 21-man extended squad by Head Coach Paul McGregor. 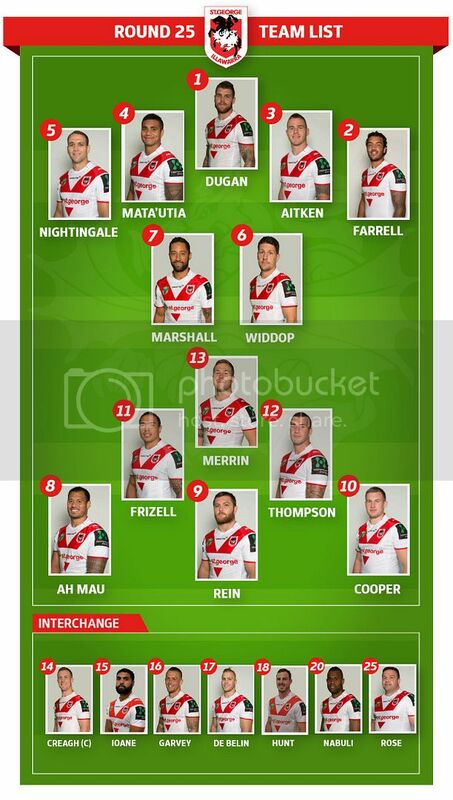 Dragons second-rower Joel Thompson has additionally been named after overcoming a hamstring strain whilst fellow winger Eto Nabuli and prop George Rose are part of a seven-man interchange. Unavailable: Jake Marketo (Suspension - Round 26); Will Matthews (Shoulder - TBC).